Sophisticated luxury housed within the famous old Whitbread Brewery building. Situated within the well-known Grade II listed old Whitbread Brewery and Montcalm London City five star hotel. Chiswell Street Dining Rooms is the perfect setting for any event. Chiswell Street Dining Rooms is ideal for business meetings, team building events and private parties. Chiswell Street Dining Rooms offers 7 completely unique and sophisticated event spaces. The smallest of the rooms, Grubb Street is a beautiful Georgian panelled room with vintage distressed mirrors and handcrafted oak flooring. It is perfect for small, executive groups for team building activities such as The Killing, or out and about events like The Detective Experience and GPS Treasure Hunts. 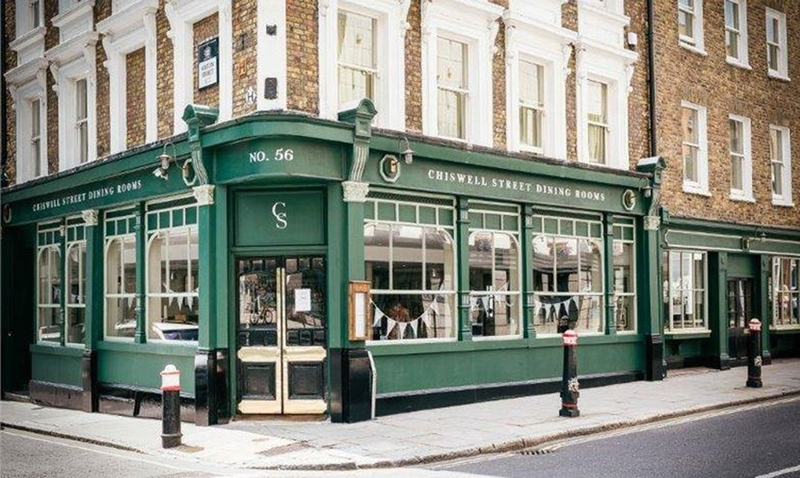 The Cornwallis, the largest of the spaces at Chiswell Street Dining Rooms offers free venue hire with only a minimum spend food and drink spend. The stunning Cornwallis offers a fantastic size room with high ceilings and modern lighting, perfect for larger team building events such as Get in the Zone and The Ultimate Team Building Event. In terms of cuisine, Chiswell Street Dining Rooms pride themselves on working with seasonal, sustainable and fully traceable Great British produce. The results are outstanding dishes, designed specifically to suit the needs of the event. The venue has been designed with a chic and luxurious feel bringing country living to the city.